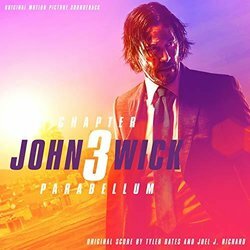 Varèse Sarabande and Music.Film Recordings present a soundtrack album for John Wick 3: Parabellum. The album features the original music composed by Tyler and Joel J. Richard who previously co-scored the first two parts in the series. The album will be released digitally on May 17, 2019 and physically on Cd May 24. 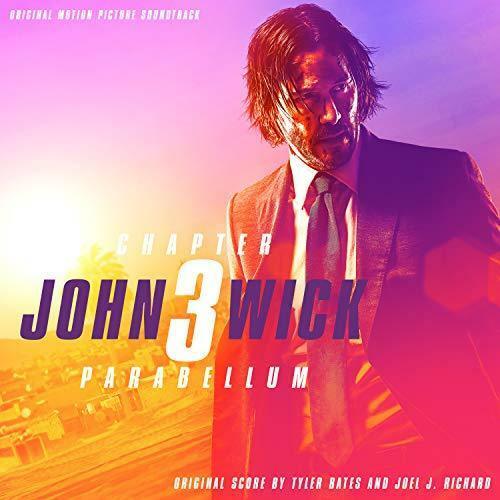 After two successful films together, which grossed 140 million dollars in the US alone, composing team of Tyler Bates and Joel J. Richard return for the third installment of the John Wick trilogy. Tyler Bates is one of the most exciting contemporary action film composers with some of his recent projects being the two Guardians of The Galaxy movies, Deadpool 2, and Atomic Blonde. In this third installment of the adrenaline-fueled action franchise, skilled assassin John Wick (Keanu Reeves) returns with a $14 million price tag on his head and an army of bounty-hunting killers on his trail. After killing a member of the shadowy international assassin's guild, the High Table, John Wick is excommunicado, but the world's most ruthless hit men and women await his every turn.